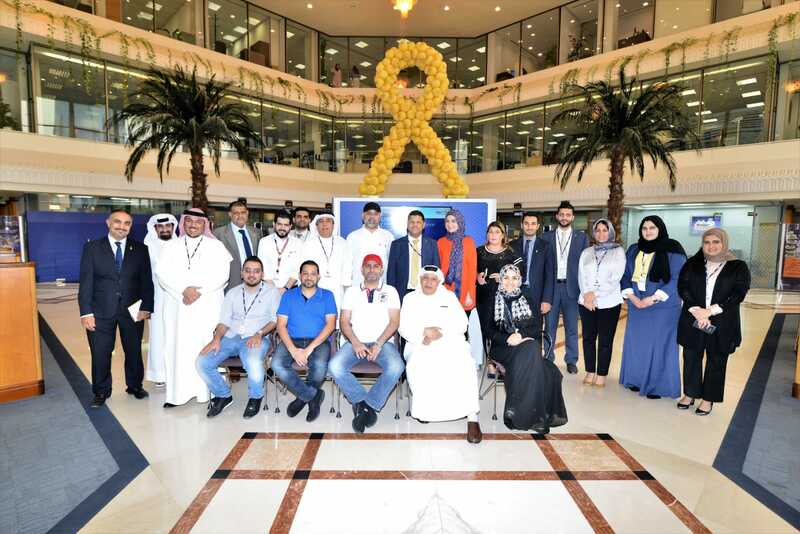 Bank of Bahrain and Kuwait announced its intention to participate in activities of “Kids R Golden 5” campaign to raise awareness of childhood cancer in Bahrain. The main branch of BBK was illuminated with a golden ribbon symbolizing solidarity with Childhood cancer. The golden ribbon was also handed to all employees of BBK as part of banks keenness to raise community awareness of childhood cancer and to support cancer-stricken children and their families. In addition to this initiative, BBK will organize internal awareness events for employees to participate in the walkathon and the charity festival as part of the campaign’s agenda, where BBK is one of the main sponsors of the Campaign. “Kids R Golden” Campaign, held by “Smile” Initiative by Future Society for Youth, is being held for the fifth year in a row with a set of events held by participation of more than 60 volunteers from hospitals, health centers, Malls and Public Parks, with the aim of spreading Childhood cancer awareness in Bahrain. Mr Riyadh Yousif Sater, CEO of BBK, stressed that this initiative is part of BBK’s keenness to fulfil its CSR to back the Bahraini community with a special care to the most vulnerable segments like cancer-stricken children, praising the great positive interaction shown by BBK’s staff to participate in such events. For his part, Chairman of Future Society for Youth Mr Sabah Al Zayani praised the continued support of BBK to the initiative, helping “Smile” to implement its events throughout the year specially “Kids R Golden 5” Campaign, stressing the Bank’s keenness to strengthen its partnership with the initiative to achieve the desired goals.